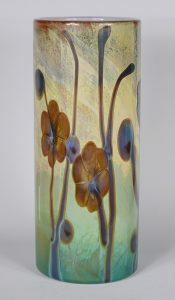 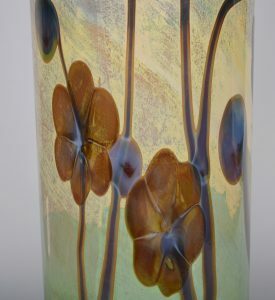 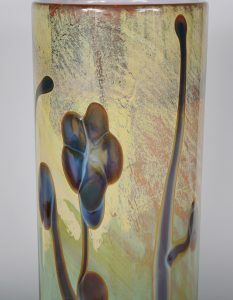 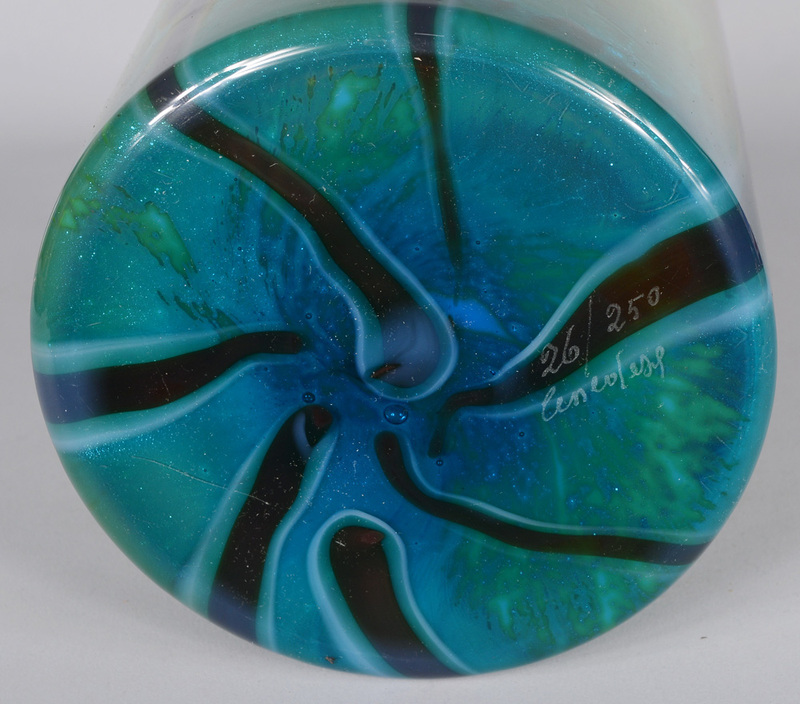 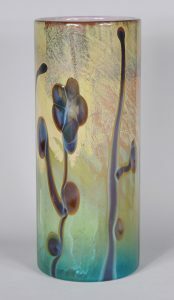 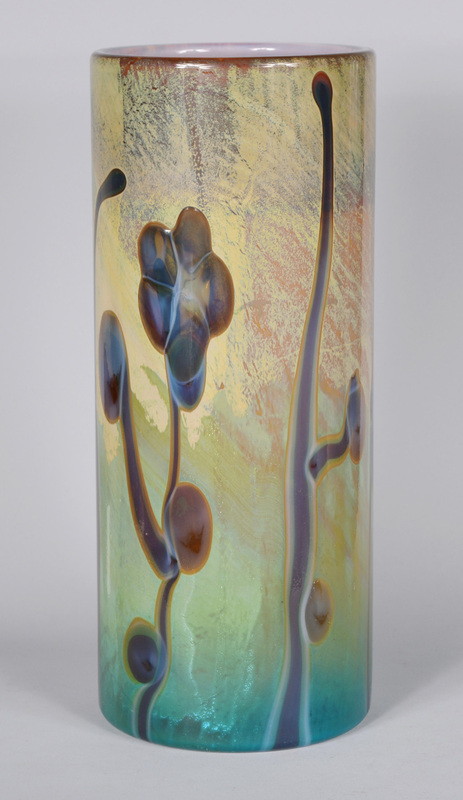 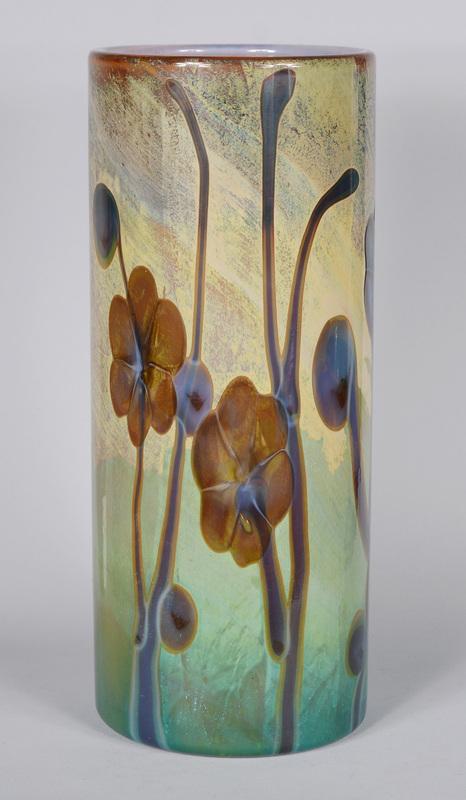 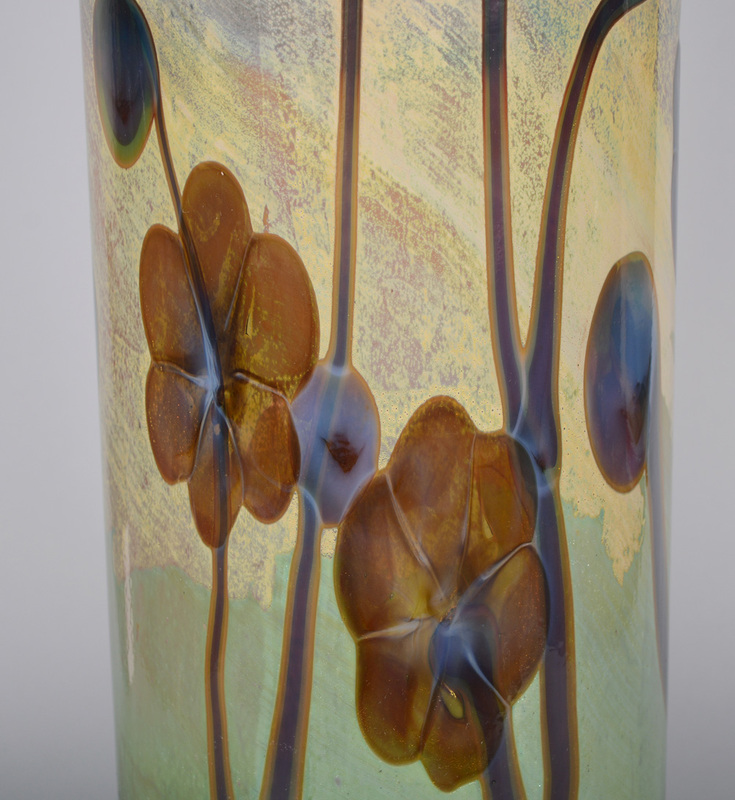 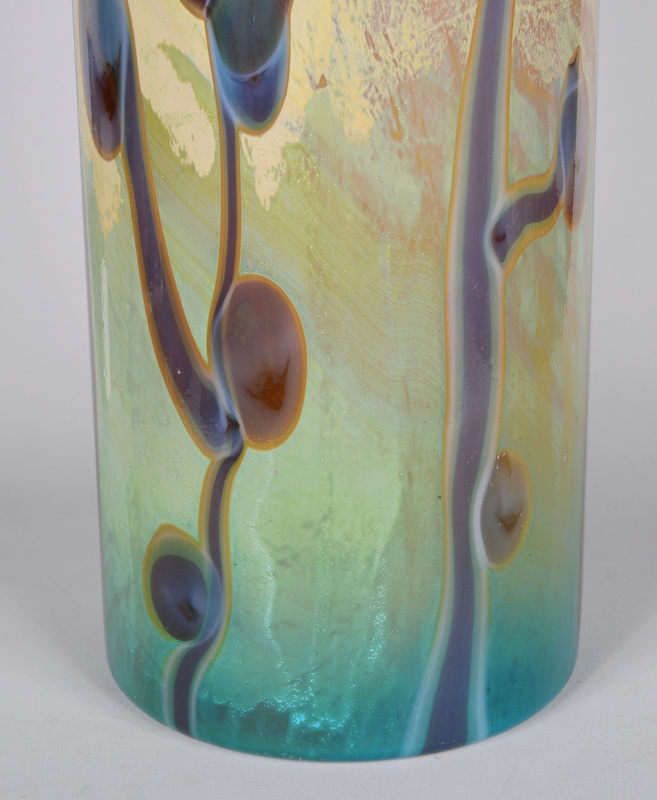 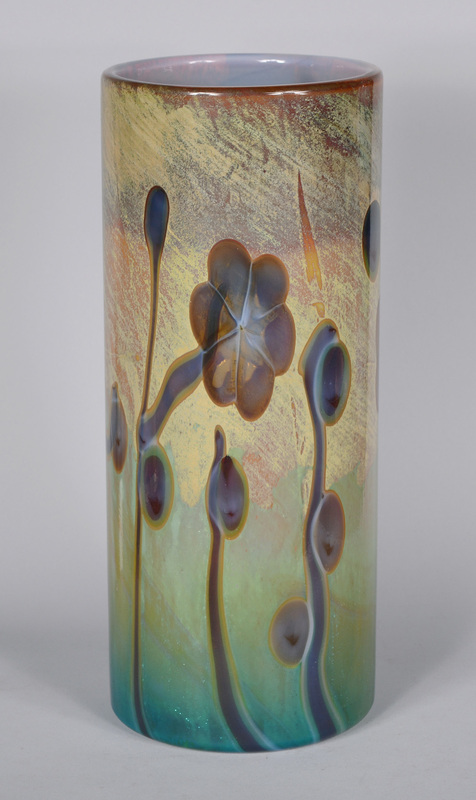 Cylindrical vase with an abstract floral motif by Cenedese. 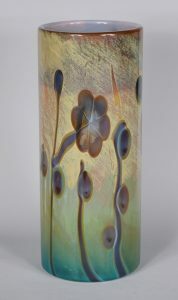 This has a painterly quality. The vase is numbered 26 out of an edition of 250. H 12.5 in. Dia. 5.25 in.